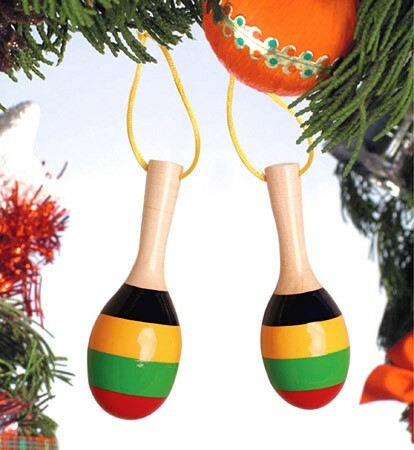 Maracas Christmas Ornament – Celebrate the holidays with one of these Maracas Christmas ornaments. A colorful, striped Christmas tree decoration fashioned in the style of the popular percussion instrument. Hang these drums from your Christmas tree to add a “musical” touch as the maracas actually make their distinctive sound! Made of wood and metal. Set of two maracas ornaments. Approx. 4.75″ L.